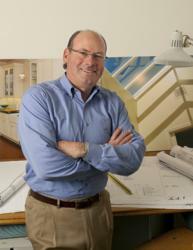 Jeff Kann, founder and owner of HOUSEworks, a residential Design + Build General Contracting Company located in San Francisco, is chosen by Remodeling Magazine to receive the 2012 Remodeling Big50 Award which exemplifies the top 50 contracting professionals in the industry. The Big50 awards were presented at a gala dinner at the Remodeling Leadership Conference in Baltimore, MD on May 11, 2012. The 2012 Big50 winners are featured in the May issue of Remodeling, a national trade publication read by more than 80,000 professional remodeling contractors. The Big50 selection process has become increasingly rigorous in recent years, and the result, Remodeling editors believe, is one of the strongest classes to date. All 2012 inductees, “stood up to detailed examinations of their businesses and their books, and they all demonstrated an admirably deft ability to restructure, retrench, and flat-out hustle to remain viable in a challenging economic climate,” according to Remodeling. Remodeling editors, columnists, industry leaders, and the companies themselves make the nominations each year. Following a lengthy evaluation and interview process, the editors select the 50 individuals who exemplify the best of the industry that year, and who have something to offer other remodelers in proven practices. Winners are selected in these categories: business savvy, fine design, industry impact, market wise, movers & shakers, niches, sales & marketing, and teamwork. Remodeling, published by Hanley Wood, LLC, is the leading publication in the home improvement industry. Designed to address the specific concerns of residential remodeling pros, the magazine is both a business tool and an industry leader for a market that reached $278 billion in 2011. HOUSEworks is a complete one-call solution for residential design + build remodeling which includes kitchens, bathrooms, additions, and entire home renovations in the San Francisco Bay area. To learn more or to see photos of completed HOUSEworks projects visit http://www.houseworksinc.com.